WASHINGTON, Jan 30 2014 (IPS) - U.S. lawmakers are in the final stages of approving reforms to a half-century-old system of providing overseas food assistance that critics say is outdated, inefficient and sometimes harmful to local economies in developing countries. Development experts and implementers have fought for years for an overhaul. They caution that the new changes, which were approved by the House of Representatives on Wednesday and look set for final approval by next week, are modest. Nonetheless, many are lauding the reforms as an important initial step following an unprecedented public discussion over the past year. “This agreement demonstrates that there’s actual fire behind the smoke on this issue. We’ve seen lots of people talking but now we’re actually seeing the will to move this forward,” Eric Munoz, senior policy advisor for Oxfam America, a humanitarian group, told IPS. The changes come in a massive, five-yearly funding agreement, known as a farm bill, that covers nearly all aspects of U.S. agriculture as well as both domestic and international food aid. The United States remains the world’s strongest provider of food aid, offering around half of such assistance each year, for both emergency and long-term situations each year. Yet unlike most other major donors, Washington has for decades required that a substantial portion of this assistance be grown in the country and then shipped abroad, mostly on U.S.-flagged ships. These requirements, known as “monetisation”, have been lucrative for U.S. farmers and shippers, and have made these sectors into powerful foes of changes to the system. Many other donor countries, meanwhile, have adopted food assistance systems that rely largely on purchasing food near crisis-hit areas. This increase in efficiency is able to stretch aid monies further and impact on more people, while simultaneously offering a tool to strengthen local economies under difficult circumstances. Implementers on the ground have been saying this for years. “We know from our own experience in countries such as Niger, Haiti and Kyrgyzstan that local and regional procurement of food assistance not only saves taxpayers money, but also gets food to those in desperate need weeks if not months faster than if it were shipped from the United States,” Andrea Koppel, vice president of global engagement and policy at Mercy Corps, a humanitarian group, said Wednesday. For the past half-decade the United States has run a pilot programme to study the efficacy of reducing its monetisation practices. The new farm bill will now make that programme permanent while also increasing its funding to around 80 million dollars a year, to be used for local and regional procurement of food commodities. This reform alone will help USAID, the government’s main foreign aid agency, get food assistance to an estimated 1.8 million additional people for no additional money. The new reforms will also provide $350 million for longer-term programmes in areas hit by chronic food insecurity, addressing a longstanding concern that U.S. non-emergency food aid funding has often been used as a slush fund for emergency missions. Combined with the shift in monetisation priority, this could be an important change, making more money available in cash that can be used for long-term development programmes. Although the policy-level understanding of the inefficiencies in U.S. food assistance have been known for years, it has taken until now to be able to overcome political resistance to any changes. President George W. Bush first suggested dialling U.S. monetisation back by a quarter in 2008, but the idea went nowhere in Congress. In his budget proposal last year, President Barack Obama laid out a sweeping vision for reform that would have decreased monetisation by 45 percent. It also would have shifted oversight for U.S. food aid from a Congressional committee focused on agriculture to one on foreign assistance, a change that would bring with it implicit shifts in priority. 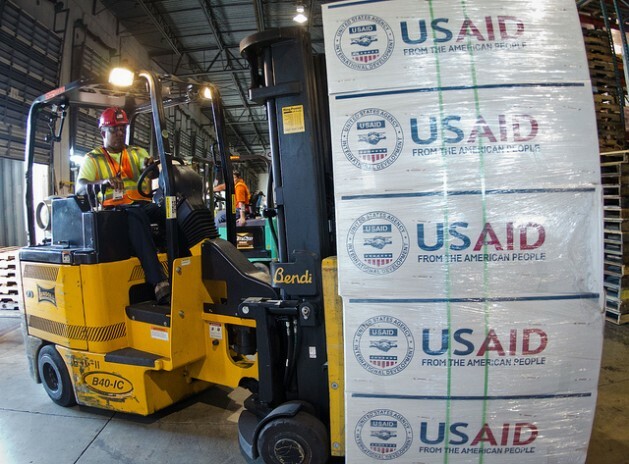 While a budget appropriations bill that passed a month ago did not adhere to Obama’s requests, it did include an additional 35 million dollars to offer USAID increased flexibility to either address monetisation or increase its ability to respond to food crises. Advocates saw that move as an important indication that Congress is open to further discussion on food aid reforms. Several more of the president’s proposals were included in an amendment to the farm bill put forth last year in the House of Representatives, where it received a first-ever vote on broad food aid reform. Although the amendment failed to pass, supporters point out that they received bipartisan support from an unprecedented 203 lawmakers. One of the sponsors on the bill, Congressman Eliot Engel, supports the scaled-back changes included in the new proposal. The Senate is expected to vote on the new farm bill by next week, after which President Obama would presumably sign it into law. Thereafter, advocates say they will turn their focus to incremental reforms that could be attained outside of the five-yearly farm bill process. Particular focus will be placed on the president’s budget for the coming year, expected sometime in the spring. “We cannot wait five years to have this conversation again,” Oxfam’s Munoz says.